3 Commercial Lots with 260 ft. +/- highway 167 Road frontage, Cave City AR. Convenience store with Beer license that will convey 1 mile MOL from dry county line Walk-in cooler and fixtures and space for cafe also. BROKER OWNED. 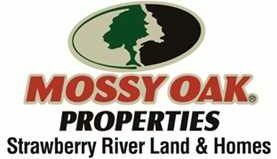 43+/- Acres, Pasture with some Woods, 2 Ponds, Fully Fenced, 3 Bedroom 2 Bath, 1400 +/- square foot home just outside of Sidney, AR, Izard Co.
43 +/- Acres, Fully Fenced, 2 Ponds, Mostly Pasture with Some Woods, 3 bedroom 2 bath House, Sidney, AR, Izard Co. Deer Hunters 83+/- Acres with springs and Mature Timber, Lots of Deer and Turkey, just off Highway 167 3 miles north of Cave City, AR, Sharp Co.